When we say Islam is a complete religion, it definitely is. Islam has answers to the religious, economic and social issues. One of the common situation that we Muslim face is the late arrival at the mosque. One can continue the prayer in congregation even if he has missed Rakat(s). One shall join the prayer rather than praying individually. There is a complete method for joining the Salah at late arrivals. One shall follow the Imam and then recite the leftover prayer individually. Missing a Rakat: One does not miss any Rakat if he joins the Prayer before Ruku, if on the arrival Ruku has been performed, that Rakat has been missed and shall be offered lately. Do consider joining the prayer, for instance, if the sajda is being performed join them with sajda. 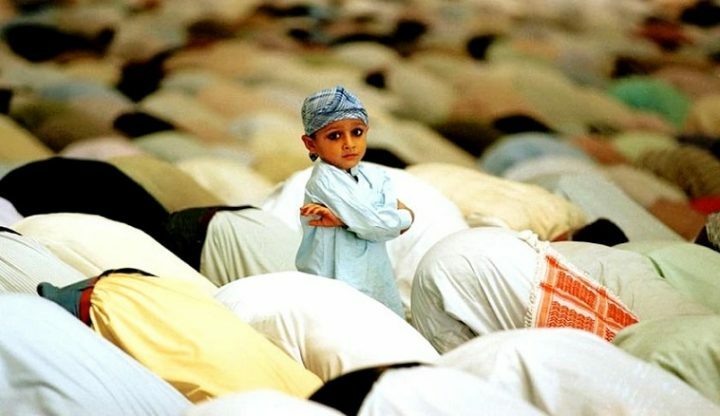 Ruku of 1st Rakat has not been performed: If you arrive at the mosque and the first rakat is being offered, you haven’t missed any Rakat of the Salah. Continue your Salah with others and make salam with them. Ruku of 1st Rakat has been performed: However if the Ruku has been performed, you have missed the 1st Rakat. You shall perform Salah with others completely, offer Tashahhud and don’t make salam with them, just stand up and offer that one Rakat and complete the Salah. You need to follow the same practice if you join Jamat any time before Ruku of 2nd Rakat. Here you will offer the first Rakat which has been missed starting from the beginning till the recitation of Surat Fateha and Quran, make ruku and sajood. However, after making sajood, you will sit down in Tashahhud and complete the prayer till Salam. Ruku of 2nd Rakat has been performed: However, if you joined the prayer when the Ruku of the second Rakat had been performed, you shall offer two Rakats later. So complete your Salah with others, don’t offer salam rather stand up and offer two Rakats to complete your Salah. Here you will offer the first two Rakats which have been missed starting from the beginning till the recitation of Surat Fateha and Quran, make ruku and sajood. In the first missed Rakat, you will stand up after sajood as it is your 1st or 3rd Rakat (as the case may be), in the 2nd missed Rakat, after making sajood, you will sit down in Tashahhud and complete the prayer till Salam. Ruku of 3rd Rakat has been performed: If you joined Salah at the 3rd Rakat’s Sajda and had missed the Ruku: You shall take sajda with them but offer 3 missed Rakats. The procedure remains the same. Here you will offer the first 3 Rakats which have been missed starting from the beginning till the recitation of Surat Fateha and Quran, make ruku and sajood. In the first missed Rakat, you will sit down in Tashahhud after sajood as it is your 2nd Rakat. After tashahhhud, you will stand up again, perform a normal 3rd Rakat and stand up again after Sujood as it is your 3rd overall Rakat, in the 3rd missed Rakat (4th overall Rakat), after making sajood, you will sit down in Tashahhud and complete the prayer till Salam. Ruku of 4th Rakat has been performed: If you join a Jamat after Ruku of 4th Rakat has been performed, you need to complete the prayer with the Jamat. However, when Imam says “Salam”, you will get up to perform 4 Rakats. You will pray these 4 Rakats complete as if you are praying all alone.